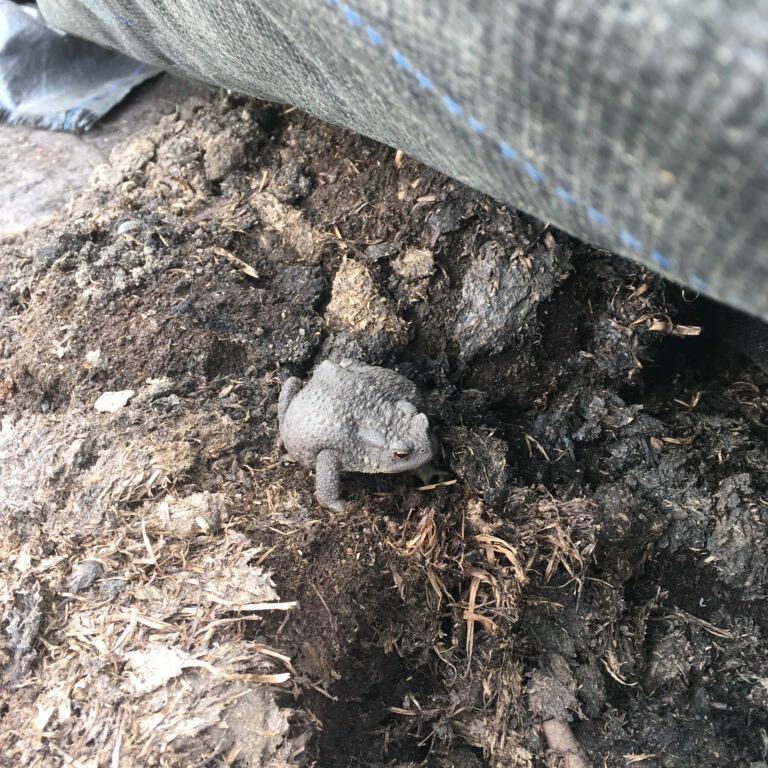 I spotted this toad near my manure pile this week. It would be great to build up a record of the wildlife that we see on our site. If you spot something interesting, please let Norman know. Better still, if you can catch a photo or some video please pass it onto him at gfaawebhelper [at] gmail.com. We had a small toad like that which hibernated in our greenhouse this Winter past and a large one 2 yrs ago!! They both burrowed into the wood chips round the sides, wish I’d thought to take some photos but will from now on! !